What customers are looking for, especially in a business, are not newbies but people in authority such as professionals. Everything seen in your headshot reflects the real you. You are judged when people see your website and your images and nothing can be more frustrating than having a poor headshot that harms your business. First impressions always last, and this is true when you want to catch the attention of your consumers. But if your headshot is bad, how terrible it will be for you! 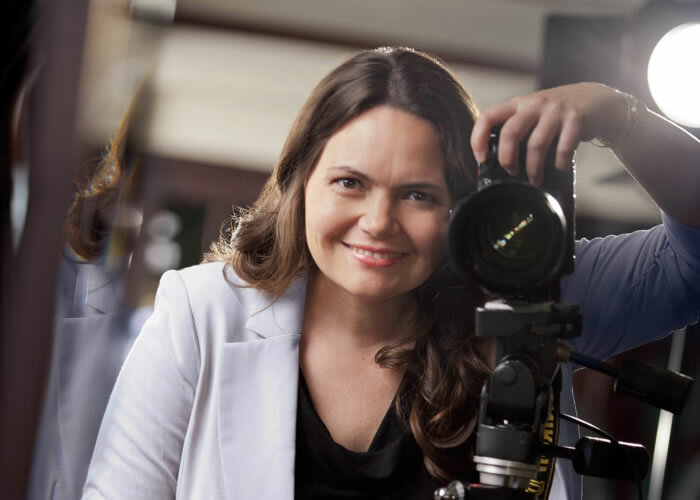 This post will help you understand more about a professional headshot and how to get it without causing you any trouble. Even if you’re not an expert in this field, you’ll feel like one as long as you follow our tips for today. What does a headshot do? Your headshot is the one that displays your own brand—nothing more, nothing less. It’s the first thing people want to see more than anything else. So, it matters a lot to show off the best headshot you can ever showcase to the public. To create an impressive introduction about yourself, including your business and own brand, showcase your best headshot. Display it in your profile on social media and websites. Therefore, it’s only smart to pick the right photo you have for the entire globe to see. It makes sense this way, doesn’t it? However, many people don’t use the right headshot they should for some reasons. Before they get a new headshot, first they want to be physically fit, have the right hairstyle, buy the most expensive cosmetics, and so on. Since most people try to hide a lot of things, they just feel contented putting their old photos—overlooking the fact that they’re hiding their most recent personality and brand. When others have discovered it, their business and brand are left behind with bad impressions. They’re not true to themselves and want to hide what is real. In the long run, it’s their business and own brand that they are put in danger. Without knowing what actually can happen, this may give you a bad impression in the eyes of many people. How to get the best headshot and showcase yourself? Learn from these tips how to showcase yourself in your most professional headshot. As a result, people will find you most appealing. Put on your best dress. Choose the most appropriate dress from your closet and you’ll get the best headshot. You can ask someone to help find your best suit, if you can’t do it yourself. Then, the result is that you’ll feel more graceful and recognized. Avoid white colors and common patterns and choose only the colors that enhance your personality. You can take a few outfit your photographer will recommend you. There are formal dresses as well as casual ones that can bring the best of you in your photos. And lastly, wear some simple but beautiful accessories. Feel like a famous person. A bride, for instance, has a great feeling of being a beautiful queen when she gets married. She wants the best makeup and hairstyle, in addition to the attractive dress she’s going to wear. She feels more confident then a celebrity who shines radiantly . You can do the same thing to your photo. If you can do it, all photos in all angles will be beautifully attractive and impressive. Your experienced photographer can do it for you. 2. Get in the right mood. It is not comfortable facing bright lights during photo shoots, is it? So overcome this pressure by listening to some nice music. This music can make you feel more stress-free and relaxed. It’ll be easier to wear your sweetest smile, too, if you have a feeling of good poise. 4. Good image goes a long way. Every two years, it’s advisable to post a current headshot on your profile. Why? Because it’s important to project the real you! As trends change, so do your style, look and hairstyle. Most importantly, it’s notable to exactly look at your current age. There’s no sense looking a decade younger in your headshot, right? So the thing here is that, go with your current look with time so that your business will step forward and not behind. 5. Your body shots are important, too. Not only your face and head, but also your whole-body shots will give good impressions to people you look at your photos. You can have any options you want like standing, sitting, talking or whatever action you want that brings a diversity of your images. Try mixing up your photos—posting your full-body or ¾ body shots as well. 6. Just be more professional. It’s worth spending your money for a worthwhile job. Professional photographers know much better than the casual photographers, friends or family members who just capture pictures unprofessionally. In addition to well-shot photos, experienced photographers can give you expert tips and advice that will go well with you. 7. It matters to use high-quality files. Print only files that produce quality results. High-resolutions (300 DPI), for instance, are best versions of high-quality images. With that, you can use the best printing option in creating your leaflets, brochures, marketing materials, book covers, and others. The above tips show that it’s not really a difficult thing to get your best professional headshot. In fact, you can even take it for fun. You can do something for your headshot and turn your poor image to be as impressive as it should be. Go ahead and start creating good impressions to the people who see you online. Showcase your best ever headshot and see the results.